Amaravati, Mar 28: In an abnormal behavior, Nandamuri Balakrishna has now abused a journalist and tried to slap the media person. And yes, Balayya Babu does it again. Nandamuri Balakrishna who is contesting the polls for the second time as MLA for Hindupur assembly constituency lost his cool and misbehaved with a channel's journalist. A video of the actor has gone viral on social media. 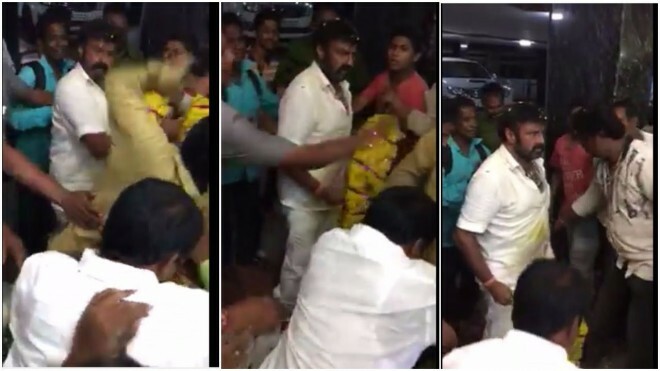 Balakrishna who got irritated with a journalist recording the actor's campaigning abused the media person ruthlessly. I know how to throw bombs, stated Balayya.